Nearly a year ago, none of Carson Kropfl's skateboards would fit in his locker or backpack, so the 12-year-old entrepreneur and inventor decided to solve the problem himself. That's when he came up with Locker Board, a startup that manufactures smaller skateboards made from recycled materials. Now, his business, which has sold 310 skateboards to date and made more than $18,000 in revenues, has a partnership with business magnate and serial entrepreneur Richard Branson. 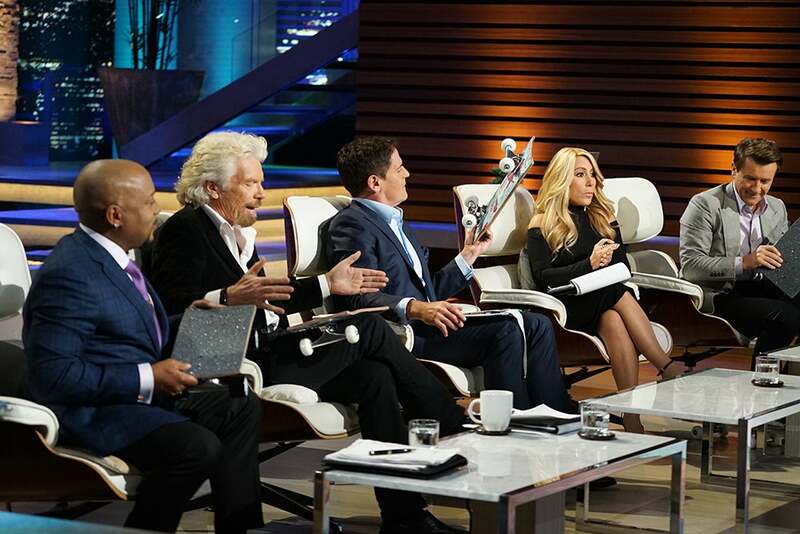 In the season nine premiere of ABC's Shark Tank, which featured Branson as a guest judge, Kropfl pitched his startup -- he practiced before bed for two months -- and received offers from Branson, Mark Cuban and Robert Herjavec. Ultimately, Kropfl accepted Branson's offer of $65,000 for 20 percent of his company. "He had the higher offer and he also said that [I] reminded [him] of himself when he was younger," Kropfl tells Entrepreneur. "I want this to become an international company that creates cool products and inspires people to shred hard, dream hard and work hard." An entrepreneur at heart, Locker Board wasn't Kropfl's first business venture. At age 7, Kropfl, with help from his mother Carrie, created Street Tube, a skateboard accessory that gives riders the experience of surfing. It was both Street Tube and Carson's belief in always "seizing the moment" that led him to the stage of Shark Tank. During a family vacation, shortly after Carson had developed Street Tube, he and his family ran into a man wearing a Shark Tank emblem on his shirt in the hotel elevator. Carson and his mother immediately pitched Street Tube to the man, who turned out to be Max Swedlow, an executive producer of the show. Getting Swedlow's business card and keeping in contact, years later the producer reached out to Carson to apply for the show. "If we hadn't seized the moment and had the nerve to strike up a conversation with him, I don't know that we'd be here today," Carrie Kropfl says. To Carson, being a young entrepreneur has its advantages. "I think the advantages are getting help from a lot of people and having the opportunity to just be mentored to do better," says the young entrepreneur, whose mentors include Nike sustainability leader Noah Reinhertz and Wahoo Fish Taco co-founder Wing Lam. On top of seizing every moment, Carson says the other best advice he's ever received is, "To always keep on dreaming and never give up."